When you are traveling your things are very vulnerable. You and your things are in close proximity to more people when walking, biking, and driving than when stationary. You also can’t control the individuals you come in contact with as you do in your own place. Luckily, there are many things you can do to keep your items secure when on the go. 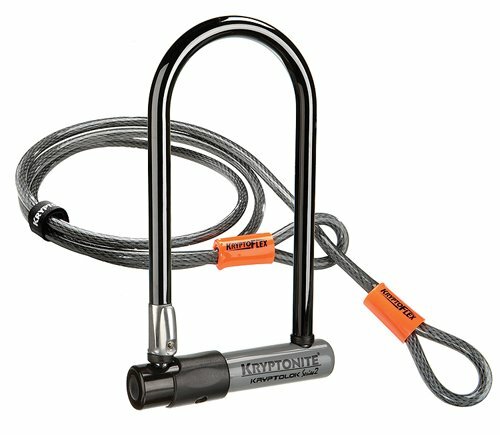 If you are using a backpack, you may consider utilizing a backpack lock. Locking one or more pockets of your backpack will protect the items inside. Another option for backpack users is to put your most valuable items in inside pockets and pockets with closures. Items in open pockets can fall out and be more easily taken. As easy as it makes access, don’t keep your phone or your keys in the side pockets. Second, an option all people can utilize is minimization. Minimize the things you have with you and leave your most valuable items in your room if possible. Keep your backpack, purse, and bag cleaned out. Also, take unnecessary items out of your wallet (especially your social security card and passport). Another way to minimize is to avoid keeping all your keys on the same key ring. Chances are you won’t need your parent’s house key when going to class or your car keys when you don’t plan to access your car. The third, and maybe the most important tip, is to never leave your things unattended. I’ve seen laptops and phones left out in the open in the library while their owners were in the restroom. Items sitting out like this without protection are the perfect target for thieves. Similarly, items left in unlocked lockers are also prime targets. When utilizing lockers at the gym or somewhere else on campus be sure to use a personal lock. Fourth, when using your car for getting to where you need to go, there are separate actions you can take to keep your things safe. First, always lock your car and roll up your windows. Second, hide the valuables in your car – put them in the trunk or under something and keep them away from windows. If someone doesn’t know something valuable is in your car they will not be tempted to take it. Third, park in well-traveled areas and in lighted areas at night; this will increase the chance that a robbery may be caught in progress and deter would-be thieves and carjackers. When you do get to where you are going and it gets time to leave, get in habit of checking for the important things and things that are easily forgotten: phone, wallet, water bottle, etc. I always make sure to stop and look back over my shoulder to double check that nothing has been left behind. This is the same advice that is invaluable for public transportation and taxi cabs. You may set your phone down on the seat and leave it there; a quick glance over the shoulder would prevent this. Keep a password or other lock protection on your phone to protect your information. Write or engrave your name on items to ensure they are easily identified as yours. Take pictures of items and write down serial numbers to improve description in a police report. Be sure to keep physical copies of these or send digital copies to a trusted friend or family member; if the only copy of the serial number or photo is on a stolen/lost object, the copy will be useless.